The cause of death of former Rainbow,Dio and current Last In Line bassist Jimmy Bain has been revealed followng his passing on January 24 at the age of 68. “The Medical Examiner report states the official cause of death was lung cancer,” writes Last In Line bandmate and drummer Vinny Appice on the band’s Facebook page. “Jimmy didn't know he had lung cancer, but he did know he had pneumonia and was receiving treatment for it. This didn't stop him or slow him down. We had four rehearsals 4 hours a day, then a flight to Miami for The Def Leppard Rock Cruise. A pre-sail gig and sound check was scheduled for the following day. “Jimmy was a trooper, he gave his all to the band he loved, the music he loved and the fans,” Appice continues. “He didn't want to let anyone down. I don't know anyone that would have attempted this schedule while being this sick and not feeling well, a trooper. “He was so happy and proud of the new album we recorded, it so unfortunate and sad he didn't live to see it released. We were all looking forward to being on the road and playing together again, there was such a magic between us. Last In Line will release their debut album, “Heavy Crown”, on February 19. The group features Bain, Appice, Def Leppard guitarist Vivian Campbell, and vocalist Andrew Freeman. 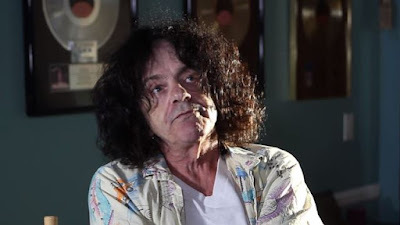 Bain’s history includes a stint with Ritchie Blackmore’s Rainbow, work with guitarist Gary Moore and Thin Lizzy founder Phil Lynott, and as a longtime member of Ronnie James Dio’s band Dio, which the singer launched in 1982 after he left Black Sabbath.